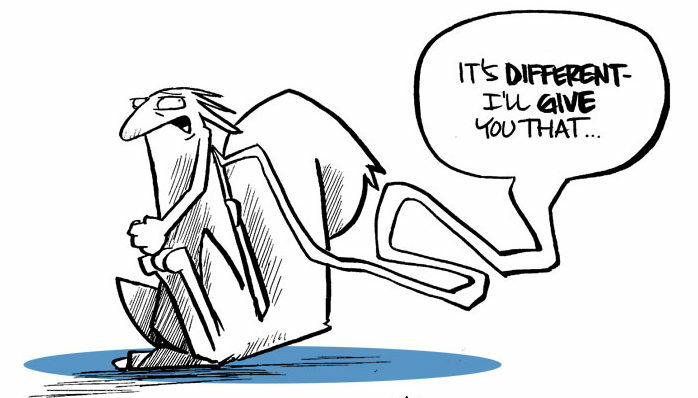 Just scroll through the hundreds of SQUIRRELOSOPHY panels on the site and take your pick! 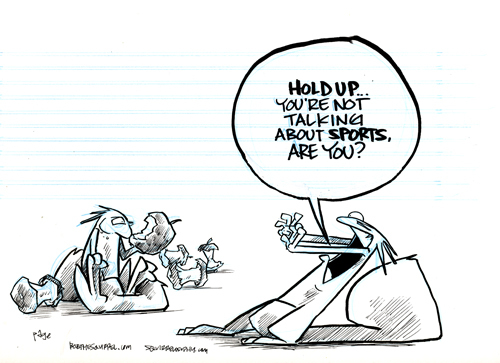 Or check out the ARCHIVE page for a quicker art find. If it doesn’t say SOLD it’s totally up for grabs! 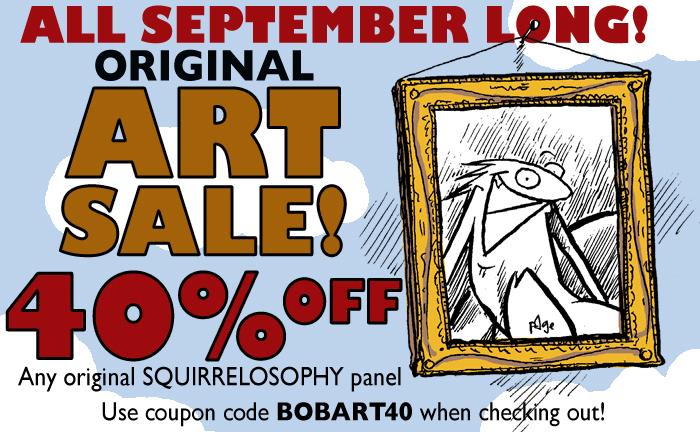 Add it to your cart and enter coupon code BOBART40 during checkout to get that awesome discount! Example of what ORIGINAL SQUIRRELOSOPHY art looks like in real life. All art you see displayed on the site is FINISHED art. What you buy will be the original art— no color, save for the non-photo blue pencil used to do the sketch. Email me with any questions. Click or tap here to start looking for your next piece of art!